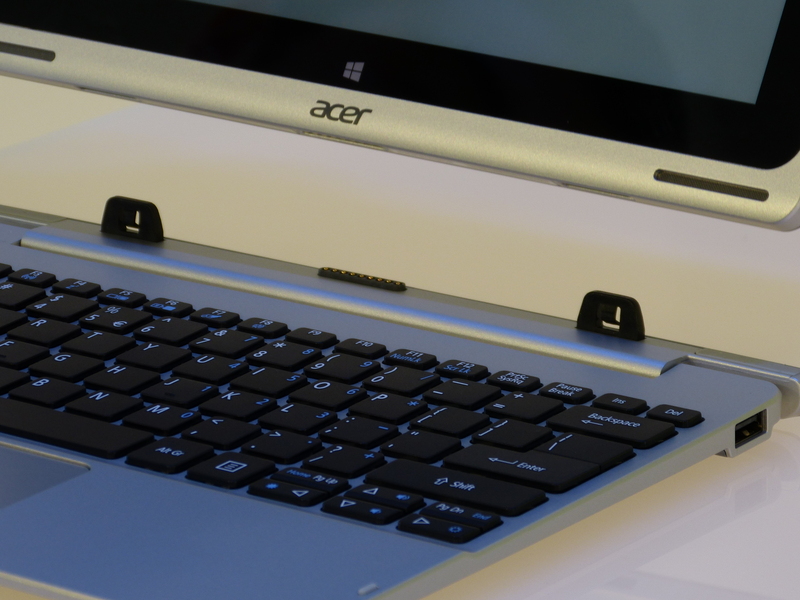 The star of Acer’s global press conference today was the launch of the Acer Apsire Switch 10, a Windows 8.1 tablet with clip on keyboard. 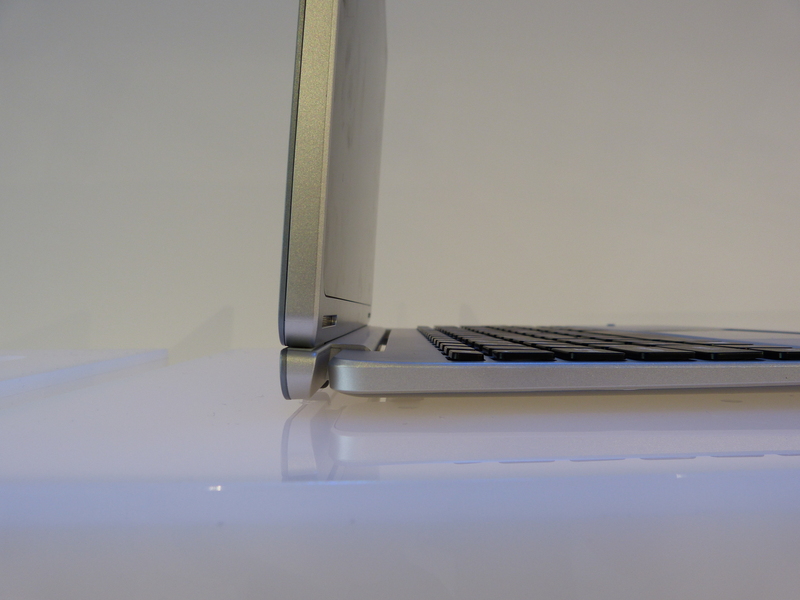 The most exciting aspect of this is the “Snap hinge,” this would really feels durable without being overly heavy. 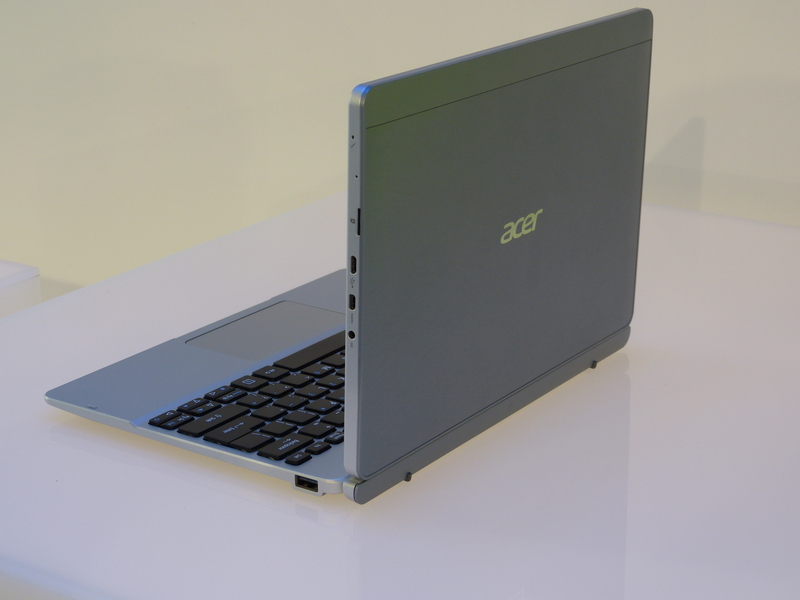 Others have tried this in the past however Acer looks to have nailed it with the combination of two exposed clips and some heavy magnets that hold everything snugly together. 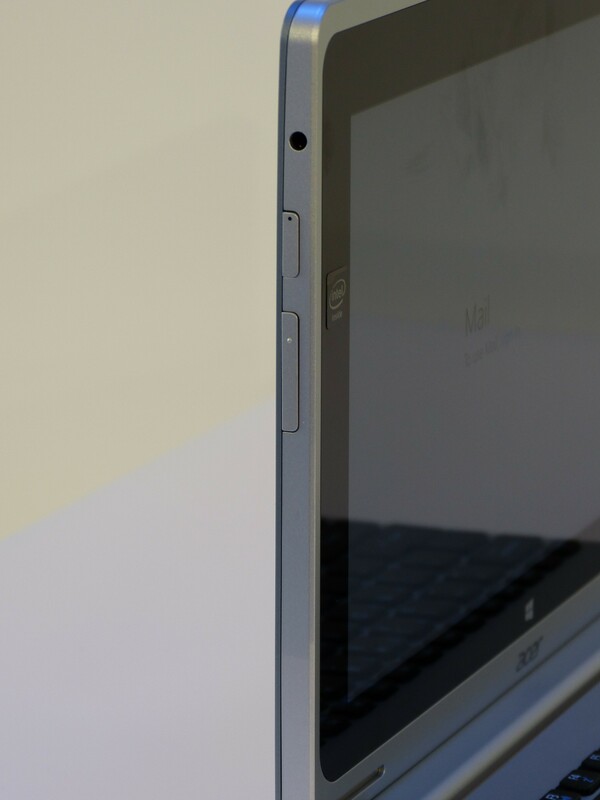 In addition to this Acer are also bragging of the 10″ display featuring a “Zero Air Gap” meaning there is no gap between the display and the protective plastic over the top allowing for a better viewing angle and less glare from sunlight. 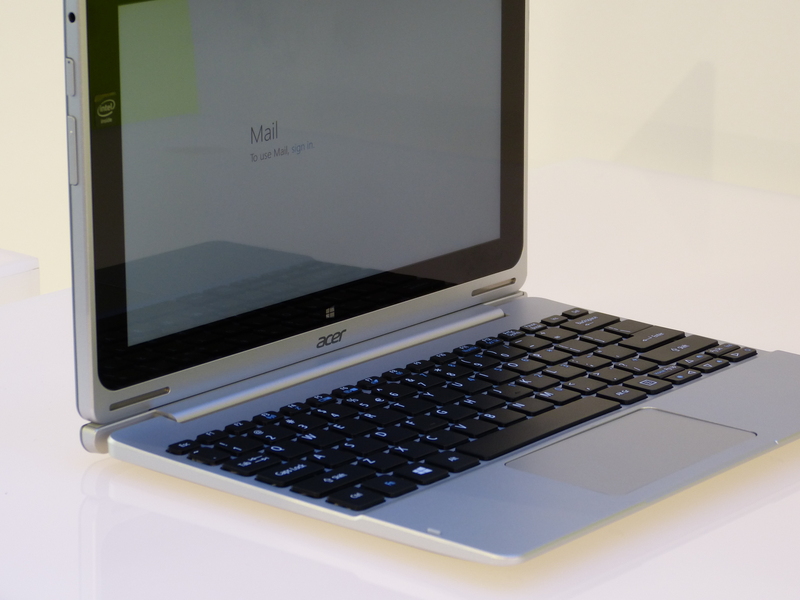 Running on an Intel Atom Z3745 quad-core processor with 2GB of RAM performance seemed pretty snappy. You have the choice of 32 or 64GB of storage. 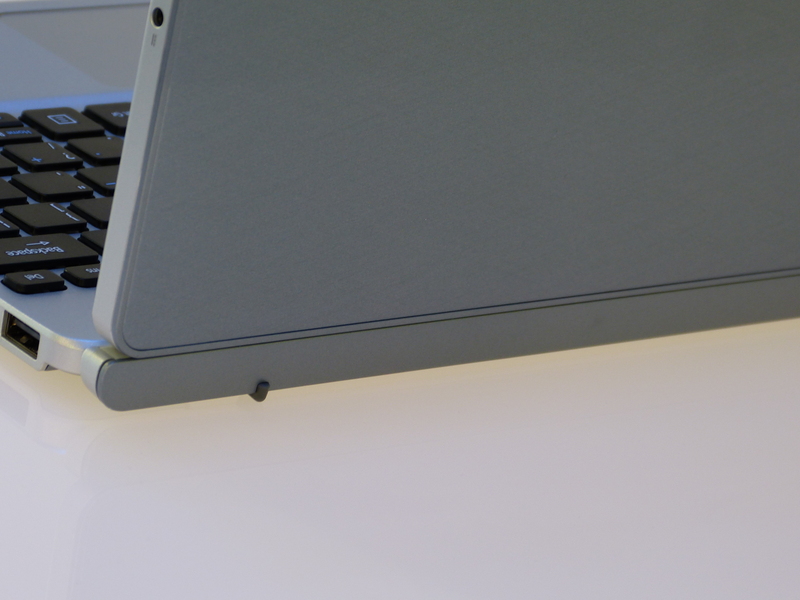 Like many multi-positional devices before it, the Switch 10 can switch into four typical forms, laptop, tablet, tent and stand. 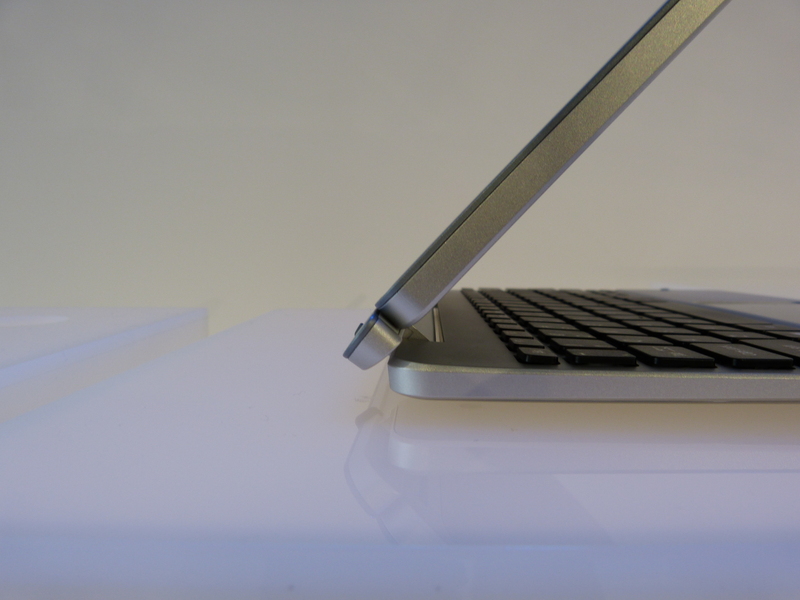 The Snap hinge mechanism is interesting as it sits at a perfect right angle, as you tilt further back the keyboard rises and tilts toward to making a more natural typing position. 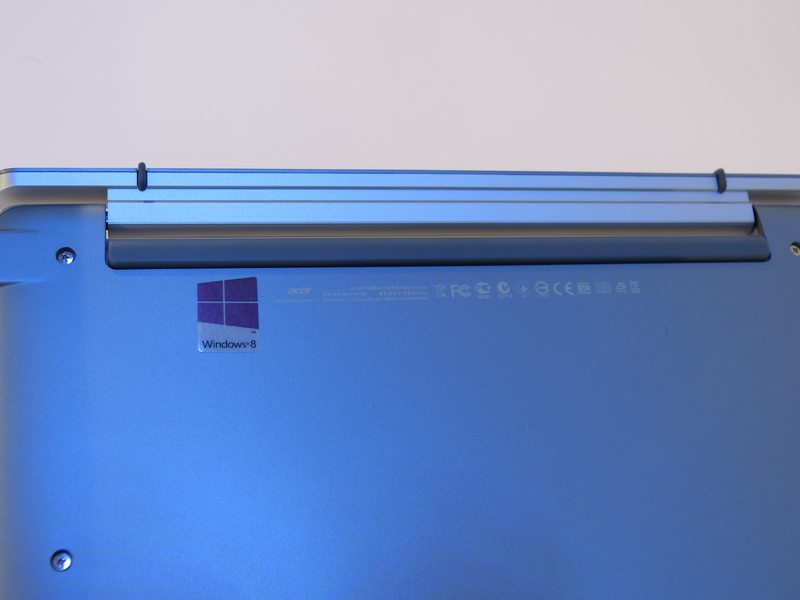 Undeneath the machine is not affected by the hinge as the mechanism is contained within the profile of the Switch 10. 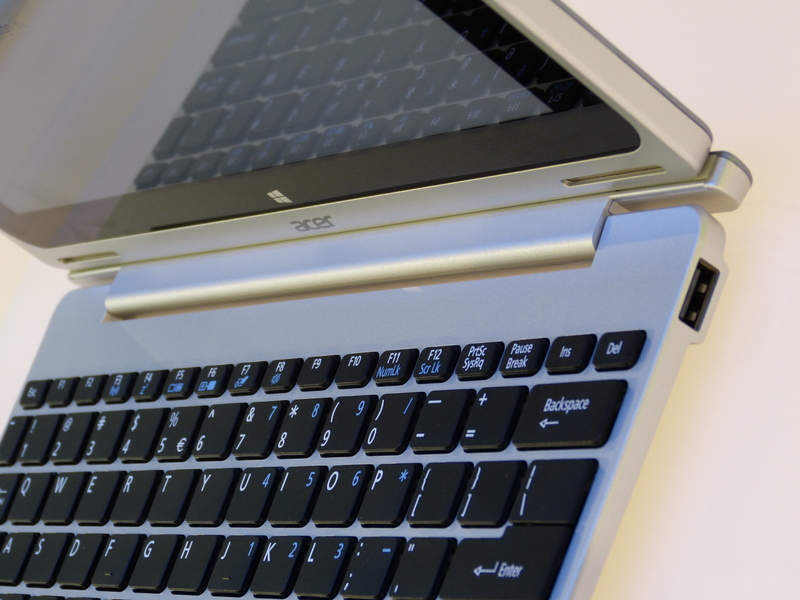 The bottom of the tablet has two holes for the clips and some connections for the keyboard input. The magnets are not visible. 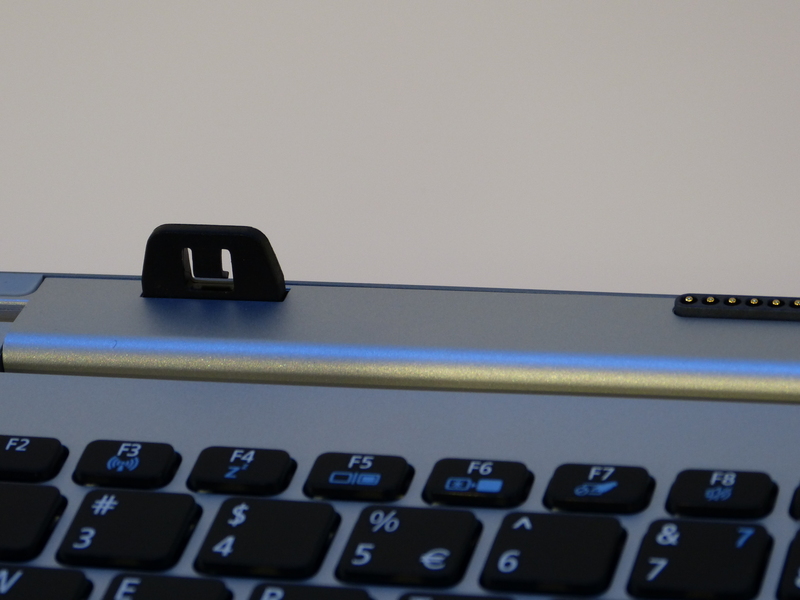 The clips are fairly simple and are angled to help guide the tablet into a lock position. The magnets tend to do all the work. 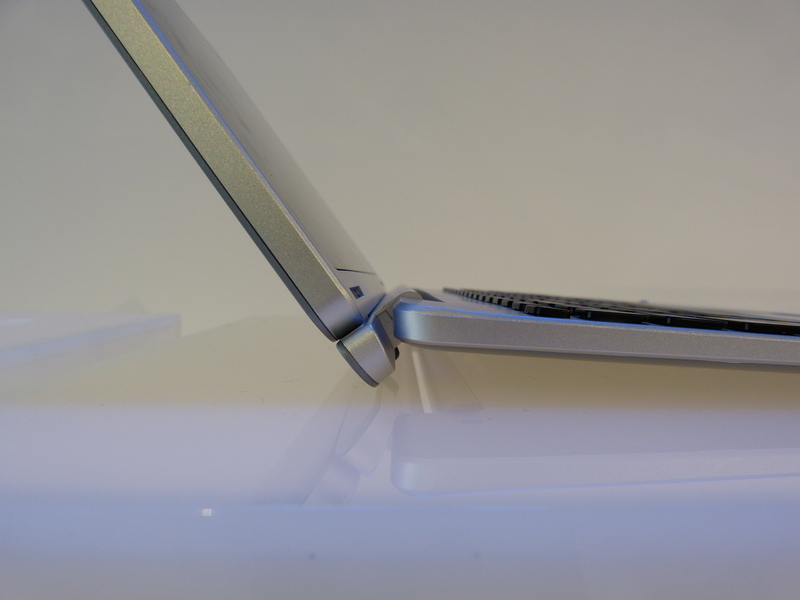 The rear of the device benefits front the positioning of the hinge. 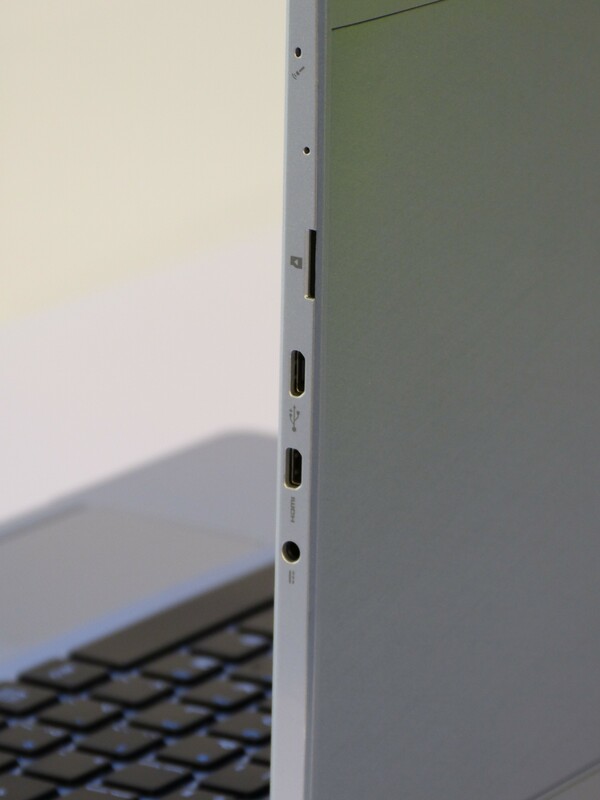 A nice unbroken line gives the Switch a more elegent look instead of the clumsy visible hinges on most other devices. The tablet as a wealth of connections on either side. More Pixels and More Mobile Than Ever! In graphics, pixels are everything. More pixels give us sharper images and make the images on a screen look more lifelike. Here’s a refresher about pixels: the word itself stands for picture element, and a pixel is a single point within a graphic image. On colour monitors, each pixel consists of three dots in the primary colors (red, blue, green) making colour images a bit fuzzy. High-definition display screens pack pixels very tightly, until you can no longer see individual ones, providing sharper images and less blur. Pixels are key to display qualities. People want high-quality display monitors. More than ever, they want them on their mobile devices as well. 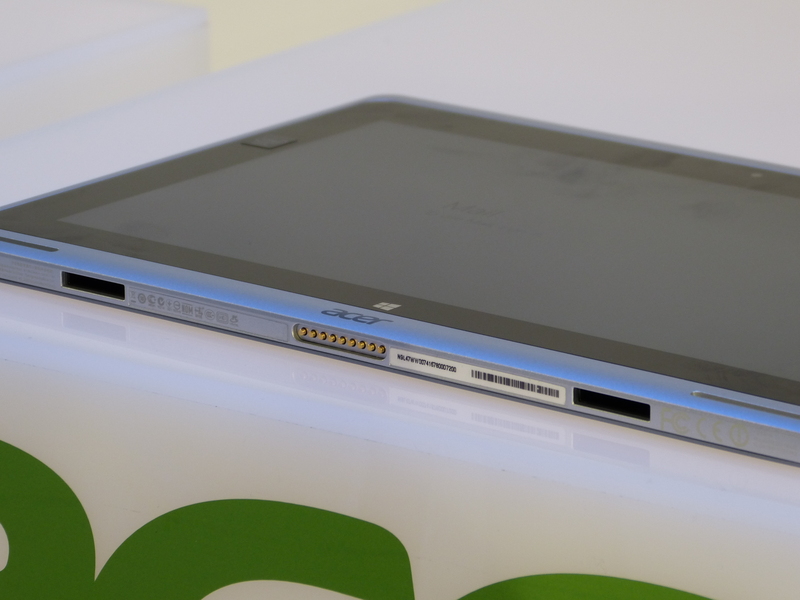 It makes sense to crank up tablet display quality. More people are watching video on tablets, according to Broadcast, which reported this more than doubled between June 2012 and 2013. In 2013, the British video provider Ooyala found that more than one-quarter of all video were viewed on a mobile device by the close of 2013. People now watch long-form video content (video running for at least 10 minutes) equally on tablets and laptops, and 53% of all tablet use is spent watching video. Video stream is replacing television. Across the pond, Mashable says that it’s the Millenial generation (those who reached adulthood around 2000) who are watching video online. Thirty-four percent prefer viewing this way, rather than traditional television. Ten percent of this group doesn’t even watch broadcast TV at all, instead accessing the networks’ streams. (British TV also offers online streaming.) Forty-four percent said they like watching on mobile devices because it lets them decide when, and where, to watch a show. Why are tablets popular for watching videos? Television still offers the best high-definition quality, but tablets are fast catching up. Why are they popular? Marketing Pilgrim say’s it because they are mobile. With a tablet, you can watch video anywhere. It also allows people to browse for programs and apparently fosters intimacy, too: Business Intelligence reports that more people stream TV and video on their tablets in the bedroom than watch live TV there. 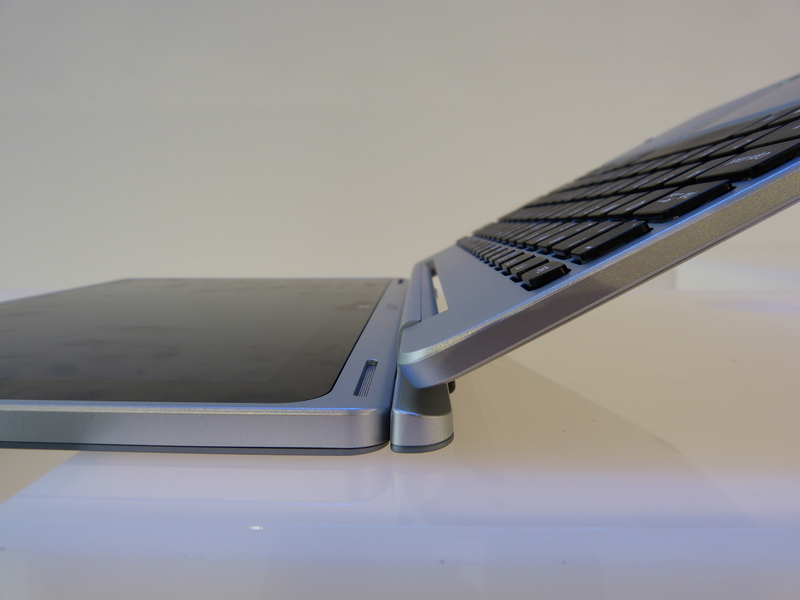 Lightweight, 4G tablets should appeal to Millenials everywhere. The latest ones feature 1920 x 1200 pixel displays ( 323 pixels per inch, or PPI) on 7-inch screens, (the standard is 1280 X 800) and weigh around 300g (.66 lbs) with 4G technology. Nexus 7, offered by T-mobile, Google, and Asus, offer these specs. Plenty of other larger and heavier tablets also have these speeds and resolutions. 4G is available everywhere although service is still spotty outside of major cities. The number of 4G services offered in the UK tripled in 2013 when Vodaphone and O2 invaded EE’s territory; EE, however, has the largest 4G network. Tesco and Three Mobile have joined since then. Check here to see if you have 4G coverage in your postcode.